Whether you’re travelling to the tropics or to a winter destination, some items are essentials for any holiday. We’ve put together the essential holiday packing list to make it as easy as possible to prepare ahead of time. 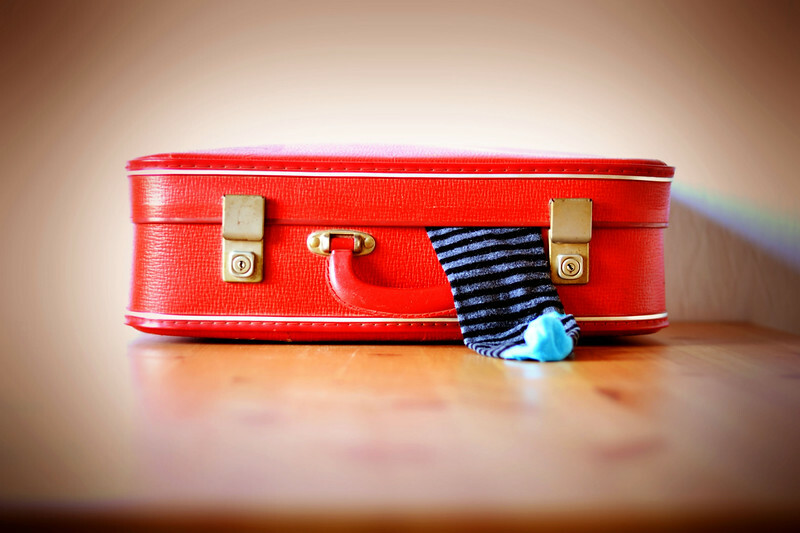 Flights– Make sure you’ve booked all of your flights before you start packing. Print out copies of all of your flight tickets, as you might be required to display a return ticket when you check in. Since ticket prices increase the closer you book to your departure date, it’s best compare flights online and book early using a site like Skyscanner. Bus, Train and Boat Tickets – If you’re travelling by bus, train or boat, print your tickets out and keep them in your suitcase or day bag. As well as giving you a printed record of your transfers, this gives you documents that you can show to taxi drivers if you’re in a country where English isn’t the local language. Itinerary – If you’ve prepared an itinerary for your trip, print it out so that you’ve got a copy with you wherever you go. Travel Insurance – Make sure you’re fully insured before you leave for your holiday with a comprehensive travel insurance policy. We recommend World Nomads, which covers a full range of activities and keeps you safe while you’re travelling. Passport – It should go without saying, but if you’re travelling overseas you’ll need to have a valid passport. Check that your passport is valid for at least one more year and that there are enough blank pages to cover your entire trip. To protect your passport from damage, keep it in a passport cover while you travel. Visas – Do you need a visa for your destinations? Some countries require that you have a visa in order to enter, while others offer visa-free travel to specific nationalities. Check if you need a visa before you book your flight and apply as early as possible to avoid any issues getting into your destination. Not sure if you need a visa? Use VisaHQ to check if you need a visa to get into any of your destination countries. Digital Copies Of Your Documents – Scan or photograph your passport, any relevant visas, your driving license, credit cards, insurance information and other relevant documents before your holiday, then save them in your email account. This way, if you lose any of your documents overseas, you’ll have a secure digital copy that only you can access. Also, prepare a list of important phone numbers for your credit card issuer, bank and other essential contacts that you can call if you run into any money issues overseas. Hotel Bookings – Book your hotels ahead of time (you can compare prices for hotels in 99% of destinations using Agoda) and print your reservations. This makes checking into any hotel easier, as well as giving you a printed copy of the hotel’s address to show to taxi drivers. Vaccinations – Before you pack anything, check if you need any injections before you visit your destination. Talk to a travel doctor and get all of the appropriate vaccinations before you leave so you don’t face any serious health risks during your holiday. Allergy Card – If you have any serious food allergies or can’t eat certain foods due to your religion, make sure you have a translated statement that you can show to food vendors and restaurants. Select Wisely sells downloadable allergy cards for most major food and drug allergies in a huge variety of languages. Prescriptions – If you take prescription medicine, make sure you’ve got an up-to-date copy of your prescription before you leave. You should also check the laws regarding prescription medicine in all of the countries you plan to visit to ensure you won’t face any issues bringing your medicine through customs. Credit Cards and Debit Cards – Check that your credit cards are up to date and won’t expire during your trip. Before you leave, call your bank and credit card issuer to inform them that you’ll be travelling overseas. Provide a list of the countries you’ll visit and the date of your trip so that your cards aren’t automatically flagged as a fraud risk. Suitcase or Backpack – If you’re going backpacking, make sure you’ve got a high quality backpack form a brand like Osprey so that you can carry your gear without discomfort. Check that the bag transfers weight to your hips, rather than your back. If you’re travelling to a destination that’s more suited to a suitcase, make sure you have high quality luggage that’s large enough to fit your gear and provide some extra space for anything you buy during your holiday. Travel Cubes – Travel cubes make packing and unpacking your bag much easier by sorting your items into separate categories. This way, you don’t have to unpack your entire bag just to access your favourite shirt or pair of shoes. We recommend getting four or more travel cubes and using them to sort your clothes and other items. Wash Bag – Make sure you have a good quality wash bag before you leave, since it will make packing and accessing your toiletries much easier, as well as preventing leakage from ruining the other items in your bag. We recommend the Magictodoor Travel Kit, which is affordable and offers more than enough space for your toiletries and health items. Travel Wallet – Even if you’re travelling to a safe destination, it’s worth investing in a good quality travel wallet to keep your cash, credit cards and important items out of harm’s way. We recommend the Lewis N. Clark RFID Security Wallet , which is big enough to fit your passport, cash and other essentials but still small enough to wear comfortably beneath your shirt while out and about. Guidebooks – Although smartphones and travel websites have made guidebooks less of an essential than they once were, it’s still worth buying a guide to your destination to use for dining and sightseeing recommendations. The Lonely Planet guides are the best on the market, with great recommendations for just about every country you can visit. Basic Outfits – There’s no need to pack your entire wardrobe, but make sure you bring at least four of five days worth of clothing if you’re travelling for a week or longer. This way, you’ll be able to do laundry twice a week and always have a spare outfit in reserve. Obviously the perfect clothes depend on your destination, but we recommend packing a variety of clothes that let you stay comfortable while following local customs. Comfortable Shoes – You’ll be doing a lot of walking, so make sure you pack a pair of comfortable shoes you don’t mind wearing for several days in a row. Add a pair of more fashionable shoes to your suitcase or backpack if you plan on going out for dinner or to events. By the way, if you need to squeeze several pairs of shoes into your suitcase, use some travel shoe trees to make sure they retain their shape and aren’t too squashed when you reach your destination. Johnston and Murphy sell great cedar shoe trees that fit the vast majority of men’s shoes and prevent creases and other marks from forming. Pyjamas – Most hotels will provide a dressing gown, but you’ll need to pack your own pajamas for your trip. Pack a set of pajamas that suits the weather — breathable and thin for hot countries and warm and comfortable for cooler destinations. Swimsuit – If you’re visiting the beach (or just staying at a hotel with a pool) make sure you pack your swimsuit to avoid buying an overpriced one at your destination. Toiletries – Pack your toiletry bag and bring essentials like your toothbrush, toothpaste, moisturiser, shampoo and anything else you use as part of your morning/nightly routine. Deodorant– It might sound surprising, but Western deodorant isn’t easy to find in every country. Pack a spare stick/can of your usual deodorant before you leave if you’re going to be travelling for two weeks or longer, as you might not be able to find your brand in another country. Face and Hair Products – Skin and hair care products aren’t always easy to find in other countries, so make sure you pack your usual items before you leave. To avoid having to hand anything over to customs, use containers of 100 mL or less or pack larger items in your checked baggage. Eyeglass or Contact Lens Case – If you wear glasses, make sure you pack a durable eyeglass case for your holiday. Likewise, if you wear contact lenses, pack your contact lens case and a spare bottle of sterile saline solution. Feminine Hygiene – Many countries only stock a limited range of feminine hygiene products (tampons, for example, are difficult to find in most of Asia). If your holiday coincides with your period, make sure you’re prepared ahead of time. Razors and Shaving Gel – Pack your razor (with enough fresh blades for your trip) and a can of shaving gel before you leave to avoid having to buy a disposable razor later. As always, avoid packing a 100+ mL shaving gel container into your carry-on luggage. Medicine – Make sure you pack a container of aspirin/paracetamol before you leave, as well as any other essential medicines. If you take prescription medicine, check that you can carry it legally overseas and ensure it’s packaged correctly to avoid any problems passing through customs. Microfiber Towel – Microfiber towels take up very little space and dry in minutes, making them ideal for backpacking trips and adventure holidays. Sunland sells great towels that are priced fairly and small enough to fit into any suitcase or backpack. Chargers – Make sure you’ve packed your notebook, smartphone and tablet chargers to avoid having to buy one after you arrive. If you use your phone often, consider getting a power bank so you don’t have to charge it as frequently while you’re travelling. Headphones – A good pair of headphones let you zone out and enjoy yourself during long flights and other journeys. Noise-cancelling headphones, which remove ambient sound from your surroundings, are your best bet for clear audio in any environment. Electrical Converters – If you’re travelling to a country that uses a different type of electrical plug, make sure you pack at least one electrical converter so that you can charge your smartphone, notebook and other gadgets. WorldStandards.eu has a great guide to electrical plugs and sockets that covers most countries. Camera – You’re covered in this respect if you have a smartphone, but if not, you’ll want to invest in a good point and shoot camera before you go. Nikon’s Coolpix cameras and Canon’s PowerShot range are both easy to use, cheap and well made.